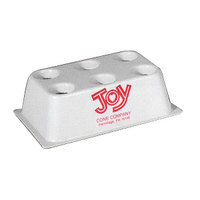 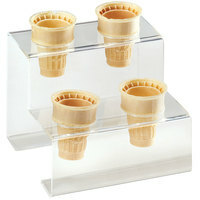 Cal-Mil 3601-4 Four Cone Acrylic Ice Cream Cone Holder - 7" x 7" x 6"
Cal-Mil 3601-2 Two Cone Acrylic Ice Cream Cone Holder - 7 1/4" x 3 1/2" x 5 3/4"
Need somewhere to hold your ice cream cones or to show off samples to potential customers? 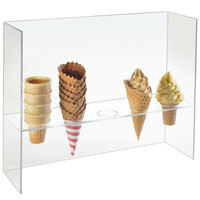 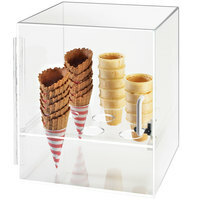 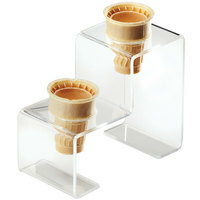 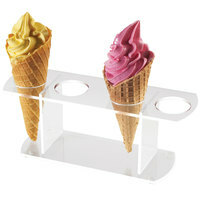 With a waffle cone holder from WebstaurantStore, you can easily hold ice cream cones as you dip them for large orders. 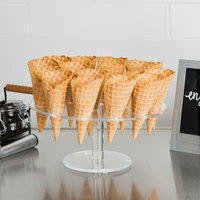 Use these waffle cone holders to show off pre-made samples in the window of your ice cream shop or freezer or even to hold cake cones in your bakery! 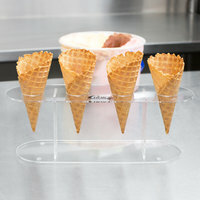 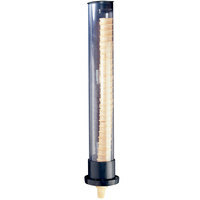 We offer cone holders in a variety of shapes and sizes that can accommodate a wide number of cones. 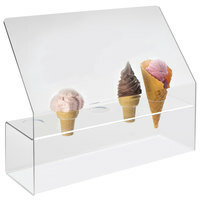 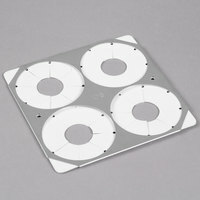 We even offer models with sneeze guards or enclosed cases for added safety. 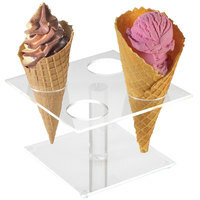 Pick up a waffle cone holder today to make serving and displaying your ice cream cones a breeze!